We’d love your help. Let us know what’s wrong with this preview of Being with Dying by Joan Halifax. To ask other readers questions about Being with Dying, please sign up. BEING WITH DYING is specifically aimed at professional caregivers, but non-professional caregivers, such as family members and friends who provide caregiving for a dying person, will find excellent support to guide them along their spiritual path. With unflinching honesty and deep compassion for the dying person, Halifax explores all the aspects of dying and death that, in being with a dying person, a caregiver may experience. She deals with the spiritual, physical, mental and emotional processes BEING WITH DYING is specifically aimed at professional caregivers, but non-professional caregivers, such as family members and friends who provide caregiving for a dying person, will find excellent support to guide them along their spiritual path. With unflinching honesty and deep compassion for the dying person, Halifax explores all the aspects of dying and death that, in being with a dying person, a caregiver may experience. She deals with the spiritual, physical, mental and emotional processes that dying activates and how this affects both the dying person and those around him. There was some bias against family members and friends acting as caregivers to the dying. All her empathy lies with the dying person, which is as it should be, but Halifax is, at times, quite unsympathetic to the emotional pain, suffering and struggle from the family caregivers’ side. Her negative view of caretaker archetypes reveals a subtle disdain for the role of family caregivers. Unfortunately, this slightly detracts from the inherent wisdom of her advice and Buddhist philosophy. Not all of us have the temperament or self-mastery to become a detached caregiver. All non-professional caregivers do is try to give their loved ones the best that they can out of love. Yes, with hindsight, the mistakes they make may have made dying more difficult for the departing soul, but the resulting guilt also makes the loss harder to bear even when the non-professional caregiver knows the loved one’s soul is finally at peace. Halifax’s compassion was all for the dying and there was very little left over for the family members living for years in that strange limbo between deep love, anticipatory grief, impending loss and physical exhaustion. Despite this, the wise reflections, the meditations and the practical advice presented in BEING WITH DYING helped me through the very trying time of my beloved Father’s active dying. Coincidentally, I started reading this book the night he had his third and final stroke, and I finished it 11 days later, the day after his funeral. I regret that I only found this book three years after my role as caregiver to my Father began, because I can see the mistakes I made, despite having help from a professional caregiver for the last 18 months. But I do gain some small comfort from the fact that, in the 6 days it took my beloved Father to actively die, I feel this book truly helped me ease his path slightly (by just sitting quietly with him and following his lead.) I also found the breathing meditations helped me calm my mind and relax my body during this intensely emotional time. Ultimately, BEING WITH DYING was a worthwhile and comforting read for me. I highly recommend BEING WITH DYING, no matter what stage of the caregiver’s role you are currently in. 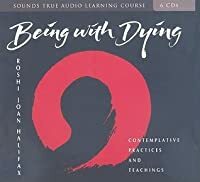 This book was so inspiring, both as it helped me look at the Buddhist approach to being with someone who is dying and looking at my own mortality. The most significant learning for me was the author's three most significant tenets of being with the dying: not knowing, bearing witness, and compassionate action. I try to take a minute and focus on these before I visit a Hospice patient...and these tenets help me be in the best possible place for these visits. I'm very eager to read this one, as it seems most aligned with how I want to approach my mother's death. This book was so helpful in how we cared for my mother in her last days. It gave me the confidence I needed to let her go and make sure she knew we'd be ok. Of course, I'm not entirely convinced I will be ok at least, not anytime soon. Beautiful, accessible, simple and very useful. Essential reading for any of us mortal beings!! “Being With Dying” (*****) pursues making death about life in that they are one in the same. The taboo of death in our culture hurts more than it helps. This book provides a path to change that in ourselves and as we face death with others. This book reminds us of the importance of now and of the impermanence of everything, including pain and suffering. This is definitely a book that will be read again and shared with others because life and death go hand in hand. I will also re-visit the meditations that go along with each of the chapters. This is a great spiritual book. I think I am more buddhist than any other religion, and I love this books focus on meditation and being in the present...a great read on the side while I am finishing up the very long and intense fiction book I'm reading! This book is excellent in blending the practices of mindfulness with being in the presence of death and impermanence. One of the concluding paragraphs best sums up the theme of this book as a 'practice' for our own death: "For practicing dying is also practicing living, if we can only realize it. The more truly we can see this, the better we can serve those who are actively dying and offer them our love without condition." I loved this book. As a fifty-something, I hope to have a few more decades to tread this earth, but the wisdom in Joan's book helped me with that perennial nagging that began for me in my fourties that hinted that it was "all downhill from here." Beautifully written. Full of practical and heartfelt gifts from someone who has lived what she teaches. Very enlightening, thought provoking. Lessons to be learned at any stage of living. Very profound. Definitely a must read. Simple and straightforward as well as rich and deep. Wonderful. A lot of information about the dying process. Written from a Buddhist perspective. Couldn't track with the meditative practices with each chapter. Buddhist teacher Joan Halifax's work is a source of wisdom for those who wish to explore and contemplate the transformative power of the dying process, as well as those who are charged with a dying person's care or facing their own death. ... She notes that all of us will ultimately have to deal with the loss of parents and loved ones and that most of us are largely unprepared emotionally for their deaths. ... 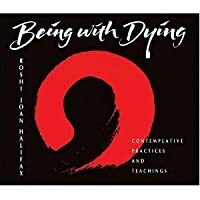 The book offers lessons from dying people and caregivers, as well as guided meditation Buddhist teacher Joan Halifax's work is a source of wisdom for those who wish to explore and contemplate the transformative power of the dying process, as well as those who are charged with a dying person's care or facing their own death. ... She notes that all of us will ultimately have to deal with the loss of parents and loved ones and that most of us are largely unprepared emotionally for their deaths. ... The book offers lessons from dying people and caregivers, as well as guided meditations to help readers contemplate death without fear, develop a commitment to helping others, and transform suffering and resistance into courage. Meditation: How Do You Want to Die? I may not be spiritually in tune enough to really appreciate this book. The dying process is epic, deep and profound in this author's telling. In my experience as a nurse, it seems to be, more frequently, a simple, peaceful fact of life with suffering alleviated by family presence and medications as much as any spiritual epiphany or breakthrough. I would never advocate for a non-medicated death when there is physical suffering involved. Have read this book in true book form, and just completed the Kindle version. This is possibly the best guide for people who work in any segment of End-of-Life Care, or for any of us learning about the beauty of living and dying. The meditations are lovely and helpful, and Roshi Joan's words of compassionate connection with all beings stir my heart. During the past 2 1/2 years, I've carried my Kindle with me during hospice volunteering visits, and shall continue to do so. This is a really helpful book with insights about how to approach dealing with people -- including yourself -- facing death. Joan Halifax seasons her text with numerous real-life examples of the kinds of problems that may arise and the approaches that might help to overcome them. This is a book for both the living and the dying, and given that we are all both, it is a book for us all. This book is written by a Zen priest. She uses Buddhist philosophy to deal with illness, death, family and personal relationships. She is very insightful and I have learned a great deal to help with my work in hospice. An amazing book, filled with wisdom from Joan Halifax's thirty plus years of being present with people as they are dying. This book is a wonderful companion for my writing, my hospice work, and my meditation practice. An amazing book sharing the Buddhist way of being with dying. Inspiring. Amazing. Beautiful. I am so much more ready to help my friends and family handle pain and death. I am so much more ready to handle pain and death myself. Thank you. This is end of life Zen style. This book is an expansion on a pamphlet she wrote in 2003 "Being with the Dying: The Four Boundless Abodes". I liked the book. There is nothing really earth shattering or new per se but some good reminders. This is a wise, tutoring book on being alive, and being with the truths of death, our own someday death and others' deaths. It's a book about being able to live with more freedom and generosity of spirit. Wonderful book to help with life transitions and accepting the cycles of life. Helpful not just for dealing with situations around death, but also with learning non-attachment and how to navigate difficult times for yourself and loved ones. This book was a gift from a friend while my Mother was in her final journey on earth. Provides perspective on death and gave me strength and comfort to be with her during her last days. Highly recommended for reflection and looking at our own mortality. 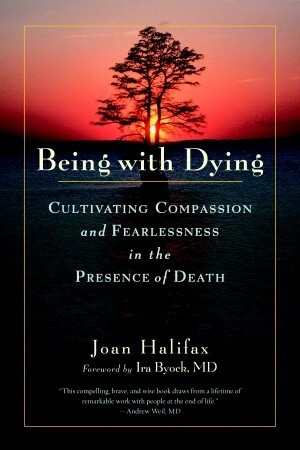 This book promotes reducing fear about dying and increasing your compassion. It is a guide for those who face a loved one's death. Rather than exhibit fear and resistance, you can better serve those who are dying by exhibiting compassion, love, and understanding. Exemplary scholarship, clear-sighted wisdom and a persuasive argument for us all to do better around death and dying. Joan Halifax is a formidable writer and academic. I was very inspired by this book.